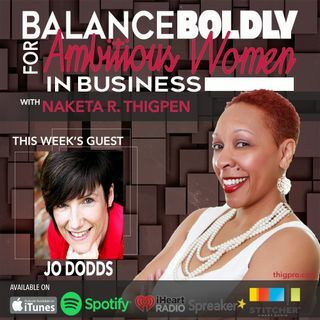 Jo Dodds is the Founder of POWER to Live More, where she helps home-based coaches and consultants improve their productivity, organization, wellbeing, energy, and resilience to unlock the POWER within, get more done, and live a healthier, happier life. She is also a member of the core team at Engage for Success, a movement committed to helping organizations and business leaders improve their personal and organizational growth through evidence-based case studies, tools, and support. She is the ... See More host of the POWER to Live More podcast and co-hosts the Engage for Success Radio Podcast.